An organizational chart shows the dominant and significant divisions of an organization. It is widely used in business industry and public service sector. In reality, some firms choose to omit using an org chart with pictures. This could lead to low productivity since an org chart with pictures can show much more than just highlighting the hierarchical relations of employees. For the example diagram below, you can clearly see an overall structure for a marketing department of a large scale enterprise. The division is formed by a number of managers and intern employees. 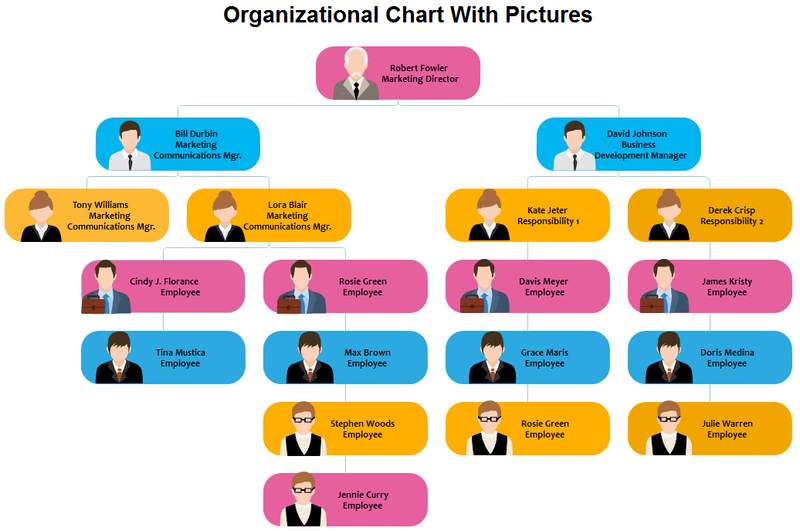 A picture-based org chart easily reflects the framework and hierarchies of an organization. 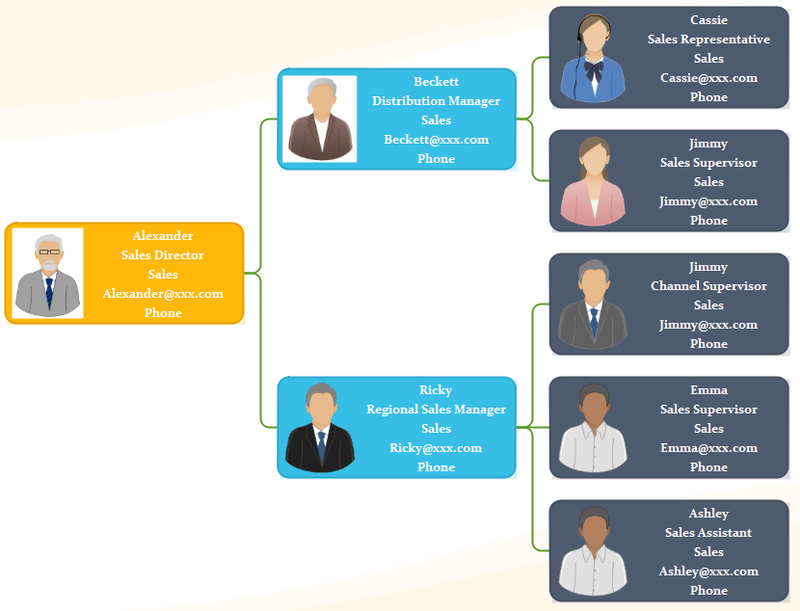 Employees can find target department or workmate conveniently in org chart with pictures. Therefore, employees would be able to know who to report or work with. Org chart with photos assists interns and existing employees to make clear their roles and duties in order to improve employee performance. 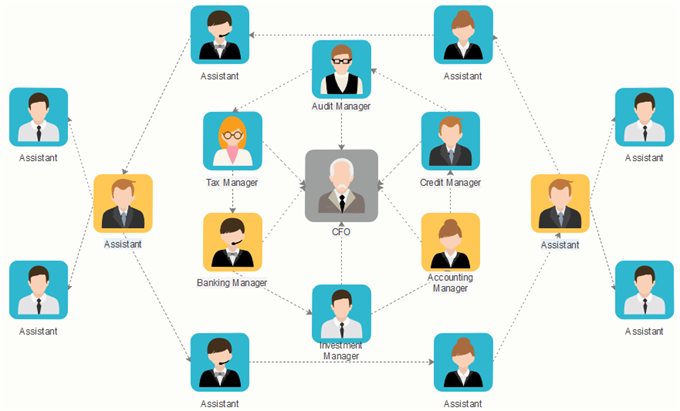 The image-based org chart helps employers or managers avoid assigning overlapped tasks. Org chart with pictures offers great convenience to managers or team leaders to quickly check the overview of the project. 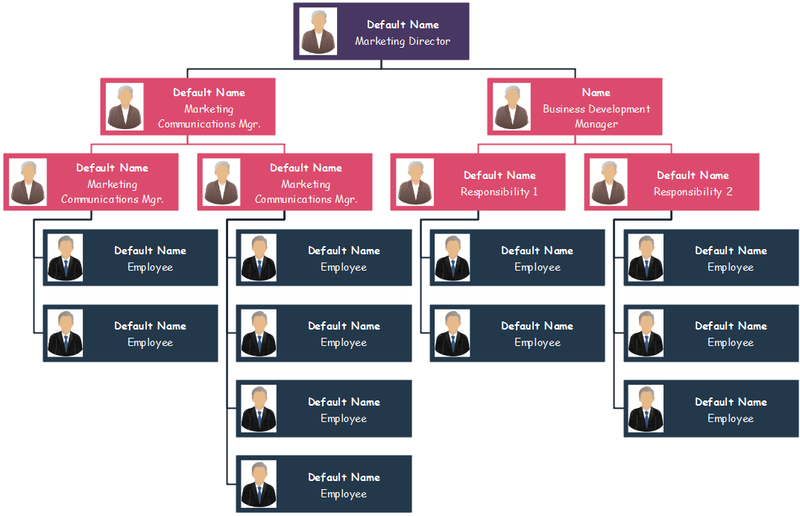 Picture-based org charts are good for decision-making process thanks to the clear visualization of employee background. Feel free to see more org chart with pictures below. You can switch between different theme style to highlight the key factors of your diagram. And this one could be a sales department from a small or middle-sized company. The overall framework is horizontal-based. You can also try something like this: a spider-pattern org chart with pictures diagram. In reality, some of the famous enterprises indeed use some types such as the Apple company. Jobs is right in the middle of the framework. How Can I Create All These Org Charts? 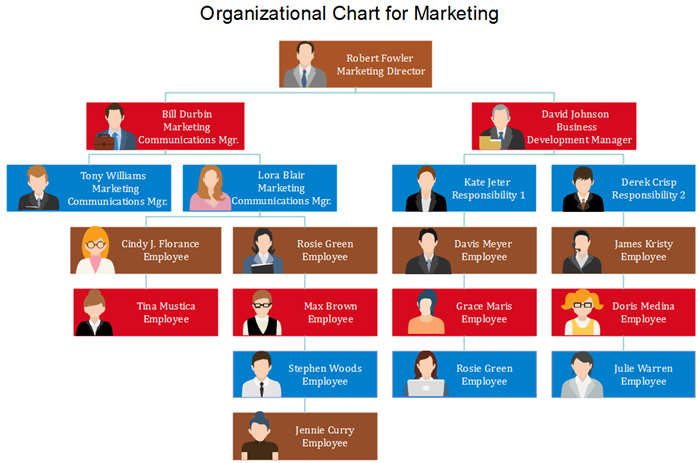 Simply go to this site for more info: Org Chart Creator or you can try this easy org chart creator for more advanced settings and management of your business teams.